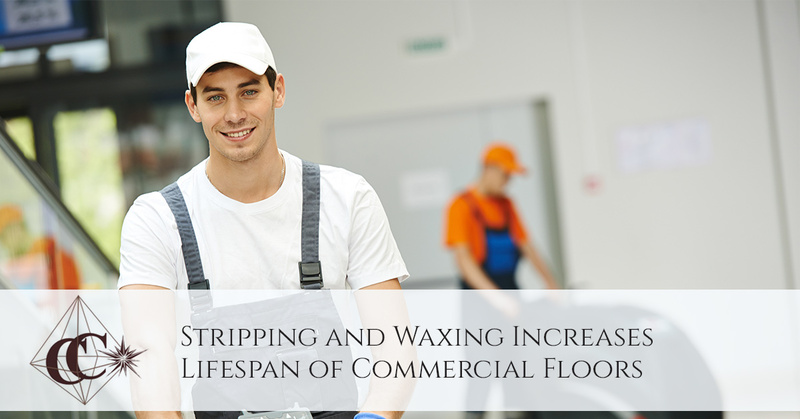 Stripping and Waxing Increases Lifespan of Commercial Floors | Crystal Clear Enterprise, Inc.
Have you ever been to an office that has yellowing floors? You probably also remember feeling unpleasant about being there. That’s how visitors will feel if your commercial floors are unkempt. Clean and neat floor tiles are the biggest indicators of sanitary condition at your facility. 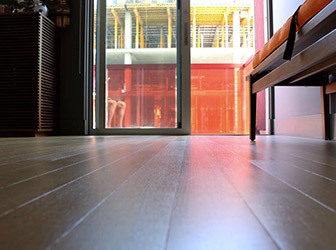 If you’re negligent about floor care and maintenance, they will turn into yellowing, dull-looking floors. Avoid embarrassment by hiring a commercial floor cleaning service for routine cleaning. 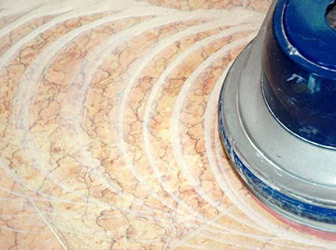 For floors that are old or ‘look old’, try floor stripping and waxing services. It can help restore their original beauty. It begins with floor stripping. It helps get rid of stains and eliminate the dull haze. Once that is out of the way, the floor will look brand new. Step #1: Stripping product is applied over the expanse of the floor for limited time duration. Step #2: It is then scrubbed to loosen dust particles and debris accumulated over the surface. Step #3: The stripping product and the old finish are wiped away. Step #4: Floor is rinsed with water and a new layer of finish is applied. You may be wondering if there’s any point of waxing when the floor is already cleaned by stripping. While stripping cleans the floor, waxing protects it from dirt and debris. Waxing preserves floor, preventing moisture and humidity from getting to the surface. It also reduces risk of stains in case colored substances accidently get splashed on the floor. Moreover, waxing adds a shiny layer, giving a glossy look to the floor. It also guards the floor against scratches, abrasions. If waxing is performed by experienced hands, it may mask imperfections such as creases and grooves. Stripping and waxing must always be done together. Stripping can help clean the floor but if it’s not protected right away, it will gather dirt in grooves and spaces. Waxing may add shine and strength but without stripping, it will only solidify the dirt underneath. In combination, these services can help clean and maintain the floor, thereby increasing its life span. If floors are not maintained through routine stripping and waxing, they will look spoiled and old within a short term. Once the damage is past the control limit, you’ll have no choice except replacing the floor. Call our experienced cleaners for top notch floor care services. As a commercial floor cleaning company, we offer stripping and waxing, top scrub and recoat, scrub and rinse, scrub and buff, and tile and grout cleaning services.